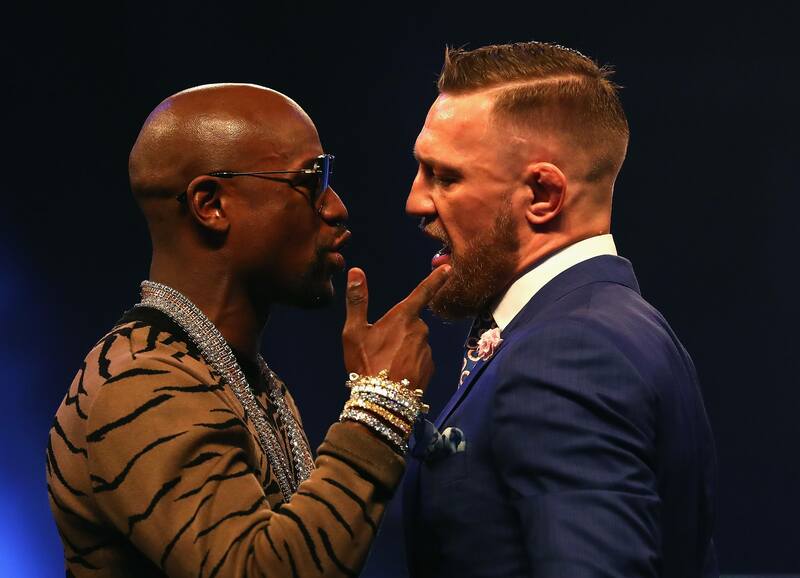 Everyone’s favorite combat sports feud is heating up again, as Floyd Mayweather Jr. and Conor McGregor exchanged insults over social media earlier this week. The beef began over the weekend with some seemingly innocent and even complementary comments made by Mayweather. But within a few days, the two men were at each other’s throats yet again. The war of words began when Mayweather offered up some thoughts on McGregor’s coming lightweight title fight against Khabib Nurmagomedov at UFC 229. Mayweather admitted his ignorance about McGregor’s opponent, but still shared his feelings on the Irish fighter. Mayweather finished his comments by extending an invitation to the UFC superstar. “I know that UFC got a training facility, but we’d like for him to work out at the Mayweather Boxing Club,” he said. That comment didn’t go over well with Conor at all, to say the least. Naturally, Mayweather didn’t take kindly to that message. 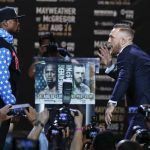 Firing back on Instagram, the undefeated boxer mocked McGregor by sharing a photo of their fight from last summer, along with a short taunt of his own. The current spat is the latest chapter in an on-and-off rivalry between the two fighters, each of whom have been dominant in their own disciplines. 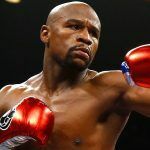 Floyd Mayweather Jr. retired from professional boxing with a perfect 50-0 record, having won world titles in five different weight classes. Meanwhile, McGregor has a 21-3 record in the MMA world, and was the first person ever to simultaneously hold two UFC championships at the same time when he won both the featherweight and lightweight championships in 2016. McGregor also has a 0-1 record in professional boxing – losing to Mayweather by TKO in the 10th round of their heavily hyped meeting last August. 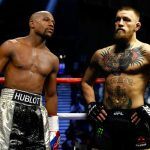 Since then, there has been speculation that Mayweather and McGregor could meet again in an MMA bout – a fight in which McGregor would be an overwhelming favorite. Mayweather has said he is working to round out his MMA skills, while McGregor would welcome the chance to avenge his loss in the ring. Before that, however, McGregor first needs to fight the undefeated Nurmagomedov (26-0) on Oct. 6. According to Bwin, the Russian champion is a -167 favorite over McGregor (+135).